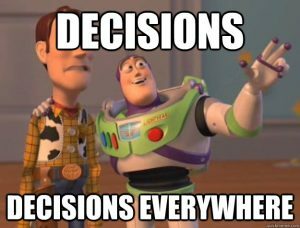 It is now getting to that time of year where students are starting to think about finding a house to live in next year! 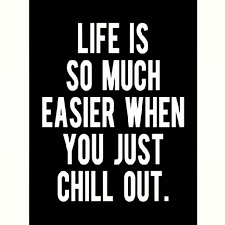 The process is really easy, and it shouldn’t have to be stressful at all. As someone who has now gone through the process twice, I have put together some tips for you to think about when house hunting! 1. 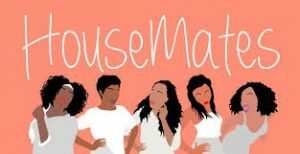 Deciding who you want to live with: The first thing you’ll need to do when sorting out a house for the following academic year will be to decide who you want to live with. Make sure you chose people you know well, and you get along with, as living in a house is ‘closer-quarters’ than student accommodation. Once you have decided on how many of you there will be, try to stick to that number when you start looking, as it’ll be so much harder if you keep changing who is living with you and who isn’t. 2. 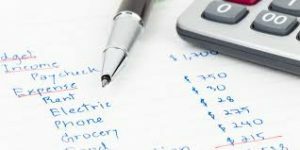 Deciding on a budget: After you have everyone who is going to be choosing a house together, it is a good idea to decide on a budget. For this you’ll need to think about the max everyone wants to spend on rent and bills. This will be helpful when you go to a housing agency as then they can only show you houses in your budget. 3. Researching different housing agencies: There are so many different housing agencies in Cardiff for you to go with. Make sure to take the time to look into each one in terms of how they accept your rent (cheques or direct deposit, monthly or per semester, do they require a deposit? ), what houses they offer and reviews from previous students. Putting in the research beforehand will really benefit you when you finally move into the house, so there are no surprises. 4. Telling them what you are looking for: So, you’ve chosen your housing agency. Now you just need to get in contact with them and tell them what it is you’re looking for. Many agencies will require you to go into the agency store to discuss what it is you’re looking for, some you can organise online or on the phone. Try and make sure that everyone who is going to be living in the house will be able to attend the house viewings once organised. 5. 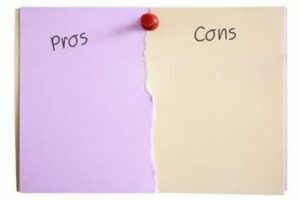 Make a pro’s and con’s list: At the house viewings it is a good idea to make a pros and cons list of each house you see, as well as taking photos. That way when you are all deciding afterwards what houses you liked best, it’ll be easier to remember what was in each one. 6. Do not rush: In the end, do not rush into a decision because you’re worried about time. People sign houses at different times, all throughout the year and next. Make sure to take advantage of going on house viewings and take the time to find a house that everybody really enjoys. It will benefit you so much when it comes to next year and you’re ready to move in. That is pretty much all there is to it. Enjoy the process as much as you can and remember to make it as easy and simple for everyone. You only get to do this a couple of times and it can be really exciting. If anyone has anymore questions about looking for a house, do not hesitate to leave some questions in the comments below! what would you recommend student accomodation or buying a flat? 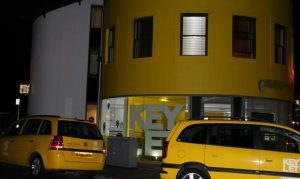 For first year, I recommend living in student accommodation! This is great for meeting new people but also having your own sense of private space. In second year, you should consider renting a house/flat. This way you’ll have met and known people for a year, so it’ll be easier to find people to live with and that you WANT to live with! I also feel that it is a good idea to live in halls for the first year especially if they are university owned halls. This allows for a greater exposure to university life and the chance to make friends, create support networks and enjoy the community a little more. If you have to choose agency housing for the final two years be sure to take photos of each room when moving in and also take photos before moving out! Always create a record of all conversation with the agency and when things are not going right, don’t take no for an answer. The agencies make a lot of money from students and they can afford to abide by the law!